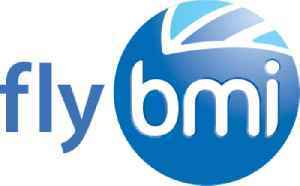 flybmi, legally British Midland Regional Limited and formerly branded as bmi regional, was a British regional airline that operated scheduled passenger services across the UK and Europe. The airline's head office was in East Midlands Airport in North West Leicestershire, with its registered office at Glasgow Airport in Paisley, Renfrewshire. The airline had operating bases at Aberdeen, Brussels, Bristol, East Midlands, Newcastle and Munich.